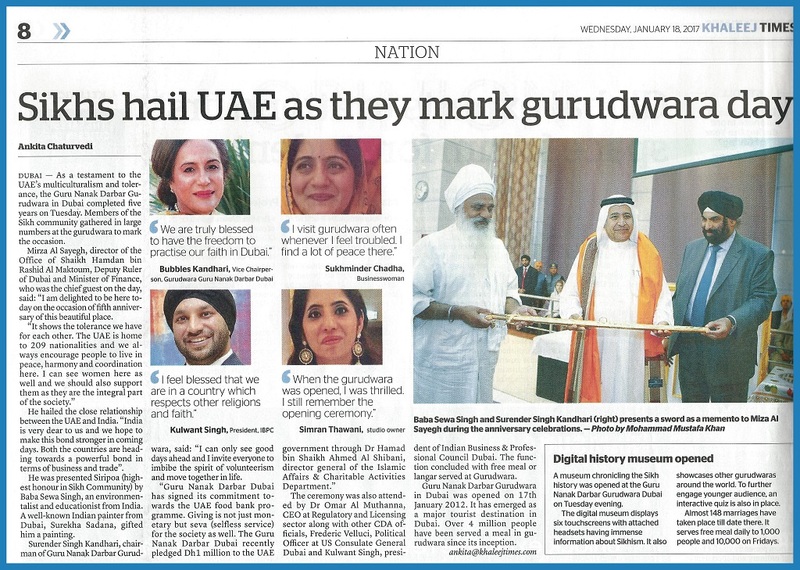 As a testament to the UAE’s multiculturalism and tolerance, the Guru Nanak Darbar Gurudwara in Dubai completed five years on Tuesday. Members of the Sikh community gathered in large numbers at the gurudwara to mark the occasion. Baba Sewa Singh and Mr. Surender Singh Kandhari presented a sword as a memento to Mirza Al Sayegh during the anniversary celebrations. A museum chronicling the Sikh history was opened in the evening. The museum displays touchscreen computers with attached headsets having immense information about Sikhism.